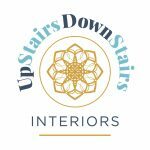 Offering an individual and flexible service, Act One Interiors specialises in hand finished bespoke curtains, blinds, and all types of window treatments, as well as upholstery, bedding, cushions and other soft furnishings. The business was founded by Helen Harding in 2002 in the Henley-on-Thames area where it has many regular and happy customers, who continue to recommend us. 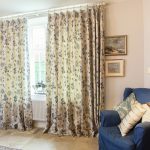 We have recently expanded the area we cover, and are now able to provide this excellent curtain and interiors service from Cheltenham and the Cotswolds to Henley-on-Thames and everywhere in between: Nailsworth, Stroud, Cirencester, Burford, Oxford, Lechlade, Marlborough, Hungerford, Pangbourne and the surrounding villages. We offer an excellent choice of quality fabrics, wallpapers and paints from designers such as Zoffany, Osborne & Little, Nina Campbell, Colefax and Fowler, Jane Churchill, GP & J Baker, Andrew Martin, Malabar, Sanderson, Morris & Co, Designers Guild, JAB and Farrow & Ball, amongst many others. We are very happy to simply supply fabrics and other materials as customers require, as well as designing and making for you. 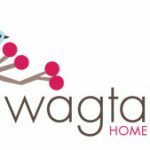 We provide a free local home consultation and quotation, and include the delivery, hanging and dressing of your new curtains and blinds as part of the service, to ensure your complete satisfaction. We also offer a great range of curtain poles, tracks and other accessories, all at reasonable prices, together with a full fitting service. Nothing is more important to us than to leave each customer delighted with their newly decorated home, and the service they have received. Please call 01453 834899 or 07876 193995 (mobile), or email us at any time for a free consultation. Biscay Interiors has been making quality soft furnishings in Pays Basque, South West France, since 2008. Now Biscay Interiors has launched in the UK. With design studios in London and on the edge of the Cotswolds in Oxfordshire, and working with all the best English and continental fabric mills, we recommend and supply fabric solutions, design, make and fit curtains, blinds, soft furnishings, upholstery, and cushions. 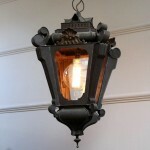 We also supply hanging accoutrements. Plus we specialise in the famous and gorgeous striped cloths of the South West France and Pays Basque region. Perfect for kitchen textiles! We can do home or site visits and offer no-obligation quotes. We provide a national and international commercial service. No job too big or too small, or too far away. We’d love to travel and meet you! At Beyond Design we can take all the stress out of choosing your new soft furnishings because we bring our showroom to you. You can choose from hundreds of fabric samples in the comfort of your own home, giving you the perfect match to your walls, carpets and furniture. 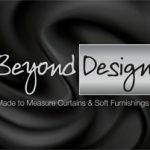 With over 22 years experience in Home Furnishings, let Beyond Design create a stunning and stylish addition to your home. Made to measure Curtains, Roman Blinds and Soft Furnishings are the perfect choice. Available in a wide selection of beautiful fabrics they provide a fabulous backdrop or focal point to any interior. Modern & Contemporary, Classic & Luxurious, whatever your taste, whatever your style, whatever your challenge, at Beyond Design we can find the perfect solution within your budget. Beyond Design is based in Gateshead, Tyne & Wear. We cover all of the Tyne & Wear area along with Durham & Northumberland. Classy Curtains make in-house Made to Measure Curtains, Cushions, Bedding, Lamp Shades, Curtains, Headboards and Blinds, we also supply Poles, Tracks, accessories and Fitting.. Visiting clients in their home with an extensive rage of the very latest Fabric samples means we leave all the guess work at the high street store and can choose the perfect material to compliment your existing decor & furniture. We can provide samples to see how the material changes with the light in your home and be at the end of a phone. We hold accounts with some of the best known fabric houses in the UK ensuring our Fabric comes to you as perfect. We don’t use second or end of line material which you may find on some web based Auction Web sites or in Discount Warehouses, ensuring you get the best quality. We are however perfectly happy to use your own material should you wish. We also offer an alteration service, a selection of Ready Made products, Fitting and provide assistance with any other aspects of Soft Furnishing. 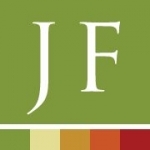 Established in 1993 we have been serving Residential and Commercial clients in South Wales and Central England and have a wealth of experience. We pride our selves on great prices, arriving on time and always try to ensure the customer is happy with the outcome. I have been in business for over 20 years now, supplying to both public and as a trade workroom. Established in 1994 I work from my workshop at home, visiting clients with sample books and hangers from my suppliers such as Chess, Chatsworth fabrics, Chatham-Glyn, ILiv, Hallis Hudson, James Hare, Jones, Sandown and Bourne, Fryetts fabrics, Rol-lite blinds and Warwick. 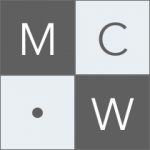 Check out their websites for ideas. 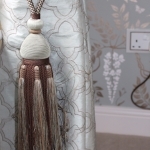 I provide a bespoke consultation service to clients in the comfort of their own home, leading to a making of their soft furnishing requirements which i do myself following through with the fitting, hanging and dressing of the blinds or curtains. I am willing to make up customers own fabric or help with fabric quantities, given fabric pattern repeat details. 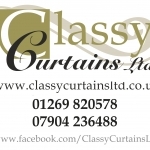 We providing hand sewn professional Curtains, Blinds and Soft Furnishings for domestic and commercial environments. Our service is fully bespoke and all of our designs are created entirely to your own requirements. The superior quality of our hand sewn window dressings, and interior design features, ensures that they are both beautiful and durable, giving you lasting quality. Your rooms can also be greatly enhanced with our lovely extras such as cushions, lampshades, bed covers etc. We provide fabric choices as well as hardware (including poles and tracks), plantation shutters and venetian blinds if required. A full professional fitting and installation service is also available. We work in the local community and surrounding areas, and are happy to visit you at home to provide advice and guidance and a full measurement service. 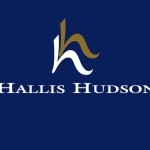 Hallis Hudson is a family run business, supplying the soft furnishing trade with everything from curtain lining, fabrics, curtain tapes, workroom essentials, cushion pads, made to measure blinds, tracks, poles and trimmings. As well developing and manufacturing own brand items, Hallis also spend time choosing the right brands for your business, such as Swish, Silent Gliss, Integra, Rufflette, Solprufe and many more. With over 10,000 products in stock, and 5,000 more available to order, we will have the right product at the right price, whatever your needs. Our service is simple, order before 6pm for same day despatch. 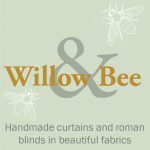 I Specialise in bespoke, hand made curtains and blinds as well as all types of soft furnishings. I started sewing at a very young age and I have always been surrounded by fabrics through fashion and textiles and then into theatre costume, ending up in the curtain industry for the past ten years. I love fabrics and I love sewing, the perfect combination. 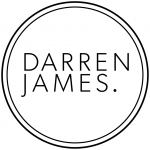 I offer a free no obligation quotation, where I will come to your house and measure up and show you fabric samples, trimmings, tracks and poles if required. We are a shop stocking all type of fabric. 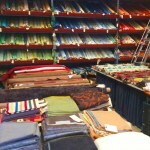 For curtains, upholstery, dressmaking, patchwork and quilting and all types of craft. Hundreds of rolls to choose from and friendly knowledgeable staff. Twig – is a Su Daybell’s magical gallery offering Su Trembath flower paintings, flowers for all occasions, topiary plants trees, handmade lampshades and beautiful large garden pots and urns and planters for sale. 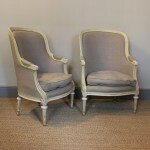 Decorative antiques, decorative antique furniture and French antique furniture at Brownrigg Interiors. View our wide range of stock of French antiques, continental antiques, Italian antiques, Swedish antiques, Spanish Antiques, and furniture from France, Spain, Italy and Sweden. Our antique shop is always updated with new stock. Visit us online or by personal visit to find new stock of antique oak pine furniture, antique painted walnut furniture, French Louis style furniture, antique dining room chairs, decorative mirrors, large Venetian mirror, original oil paintings, French wall lights, art nouveau lighting, etc. 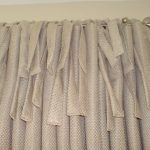 Sally has been a curtain maker for 25 years, she does not have a website, nor is she on any social media sites, her business succeeds purely through word of mouth. Pretty windows offer free quotations, and very competitive prices, however are never beaten on the quality, as all of the curtains, blinds, or soft furnishings are handmade to perfection. After 15 years of making up curtains sally realised the expense of some materials, some of which went into hundreds of pounds per meter, therefore Sally set up ‘Pretty Windows’ Sister company ‘End of Line Fabrics’ – which is a designer fabric outlet store, allowing customers beautiful, perfect materials up to 80% off the RRP. 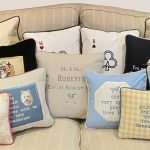 check out the website at http://www.endoflinefabrics.co.uk, or call Sally now on 01452 741154, and she will gladly come out to give you a free quotation with no obligation. We are a family run, designer fabric outlet store, who sell designer materials at up to 80% off the RRP. All the materials are now discontinued, or at the end of their production run, meaning they are all perfect materials, however of no use to the designers anymore. The website allows you to choose up to 6 samples free of charge, and if/when you choose your desired materials, you will only have to pay £4.95 p&p, whether you have 1 or 100 meters. 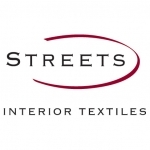 We offer a range of products, curtain and upholstery materials, as well as a range of linings, interlinings, poles, tracks and accessories such as heading tapes, cushions and cottons. We have hundreds of remnants to choose from as well as today only offers and a further reduced section for those little bargains. Come and check out the website now or pop into store in Frampton On Severn, Gloucestershire, or call us today on: 01452 740777 to help us answer any of your questions. The company began from our Managing Director Sally, who has been a curtain maker for 25 years, getting very overwhelmed by the prices of current materials, stretching sometimes into hundreds of pounds per meter. With the climate going the way it has, she decided she would try to help save her customers money buy purchasing discontinued fabrics, which they were thrilled with, especially when they found out they were paying up to 80% less than originally thought. 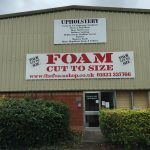 We are http://www.endoflinefabrics.co.uk – here to save you money and time. Been making all aspects of soft furnishings for over 34 years. 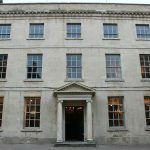 Curtains loose covers roman blinds cushions bedspread bed valances etc.Covering Cirencester ,Cheltenham ,Gloucester, and surrounding areas. We are a company that prides itself in perfection. Love goes into every basic sanding down, every brush stroke, and the final finishing and polishing of our curtain poles and finials. This makes us stand out as special and we have many clients who will endorse this. We are based in the Cotswolds near Cirencester. Our Showroom has many examples of our beautifully hand crafted curtain poles. No job is too large or too small. Our objective is to get it right for our customers, and we do! We would love you to visit us so that we can show you the variety of our work and help you choose the right solution for your requirement. Localish represents the feeling of belonging to the areas and communities, whether you’re a native, part-time resident, or just visiting by. Inspired by this idea, Localish apparel is made with original designs made somewhere between Hawaii and California. Localish offers wide range of surf apparel including surf leggings, women’s surf t-shirts, men’s surfing t shirts, men’s surf apparel, women’s surf apparel, men’s sweatshirt hoodie, surf tank tops for men, surf tank tops for women, and many more. Visit the website https://livelocalish.com/ to see all products. Order now! House of Robinson specialise in producing inspiring interiors with a comprehensive collection of fabrics, trimmings and poles. We produce soft furnishings individually designed to suit your lifestyle and buget, from simple roman blinds to intricately designed curtains expertly made to measure soft furnishings from the fabric of your choice. Fitball Therapy and Training Pty Ltd has been distributing Fitness and Wellness products and equipment into Gyms/Fitness Centers, Rehabilitation Departments, Schools and Development sectors since 1991. Our products have been manufactured by Ledraplastic Spa since 1963; one of the largest factories producing PVC inflatable products with over 10,000 products manufactured daily for distribution over the world. Boxhouse Interiors is run by myself Vicky Walker. I come out to your home personally and will advise on suitable interior decoration armed with appropriate fabric books, paint samples if necessary. I have accounts with well known fabric houses and can access most fabric. 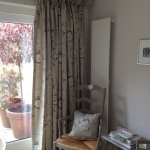 All the curtains, blinds and soft furnishings are made in my workroom based in Gloucestershire. They are made by myself but I also have a dedicated back up team if necessary all chosen by myself for the quality of work. If you require any poles or tracks to be fitted then I have carefully chosen fitters that I recommend. 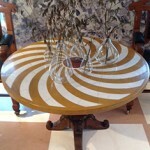 I work with private individuals but am also happy to sew for interior designers and any other trades people. I pride myself on a very high standard of work and customer service is second to none. I hope I can help you and look forward to working with you. 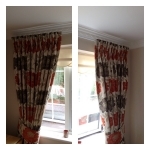 Professionally made to measure curtains, blinds and cushions . Huge selection of designer fabrics and poles to choose from. Buy online or home visits in the chippenham area.